During the summer of 2014, a fundraising challenge – The Ice Bucket Challenge – became a global success. Partially due to our innate desire to terrorise our friends, but mostly thanks to social media – the campaign went viral with over one million videos posted to Facebook, and raised approximately $100 million (approximately £70 million) in donations to the ALS Association: a charity that raises awareness and funds towards research for Amyotrophic Lateral Sclerosis, a neurodegenerative disorder. Above all, as well as raising awareness for a previously seldom known affliction, the ALS Ice Bucket Challenge proved just how capable we as human beings are of raising money, with all of the suggested £3 donations here in the UK adding up and contributing to a substantial sum. And with the resounding success of the ALS Ice Bucket Challenge, there’s nothing that goes to say a similar feat cannot be achieved once more. In support of Mind, a mental health charity – Shoreditch based creative production studio Brickwall, which specialises in producing film, animation and digital platforms for charities and the public sector has launched Shaveril, a campaign that will last throughout April. 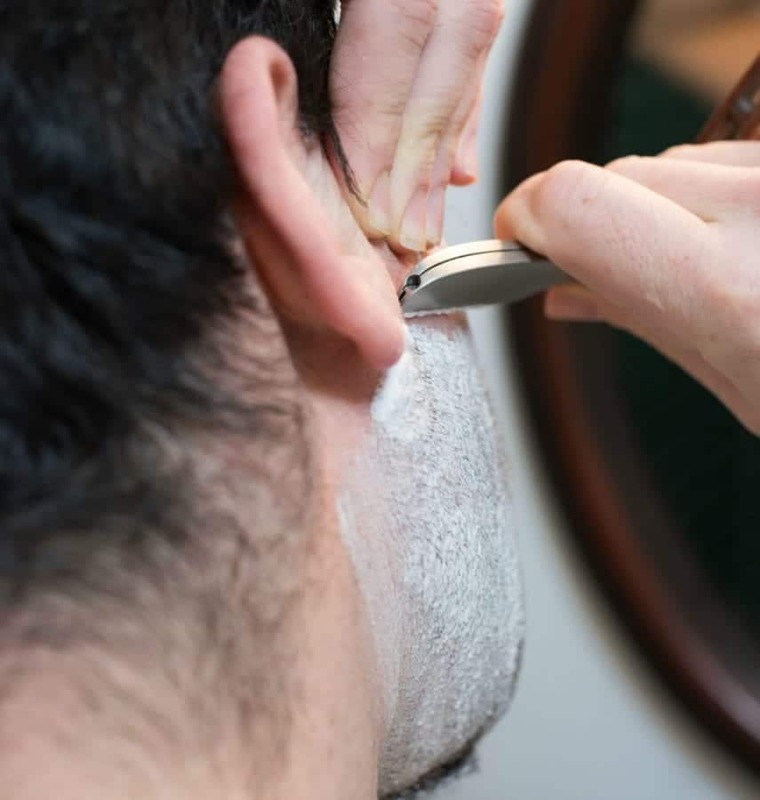 The main gist is simple: during the month of April men across the world are being encouraged to do the unthinkable and shave their beards for a good cause, with an aim for every beard in London’s East-End to be shaved in support of Mind. 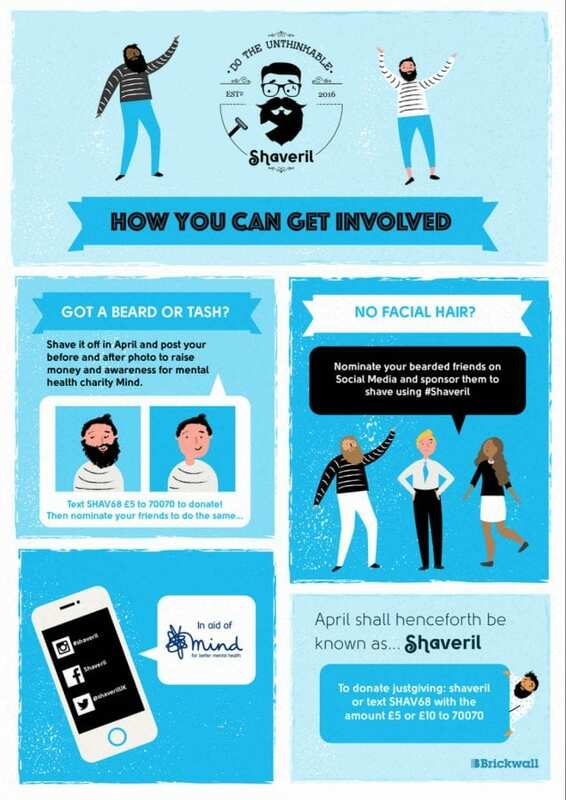 Next, participants post before and after pictures to either Twitter, Instagram or Facebook, using the hashtag #Shaveril to promote further awareness. Finally, participants are encouraged to nominate friends to either shave their facial hair or to donate to Mind using the text code or online link below, or to in fact do both. To tie in with Shaveril, a special event will take place at The Hoxton, Shoreditch, on Thursday April 14th, in which a pop-up barber’s will be on hand from 17:00, offering guests a free professional shave from local barber’s, as well as a shaving master class. A selection of free refreshments will also be on hand, including wine from New Zealand brand Shorn. What’s more, throughout the month of April, all bearded men will be able to book in at Thy Barbers at The Bike Shed, Shoreditch, for a full wet bear shave, and if customers quote “Shaveril” upon booking, all proceeds will be donated towards Mind. Shaveril will run throughout the month of April, to get involved visit justgiving.com/shaveril/ or text SHAV68 with the amount £5, £10, or £20 to 70070.